Yes I know it’s now 2015! 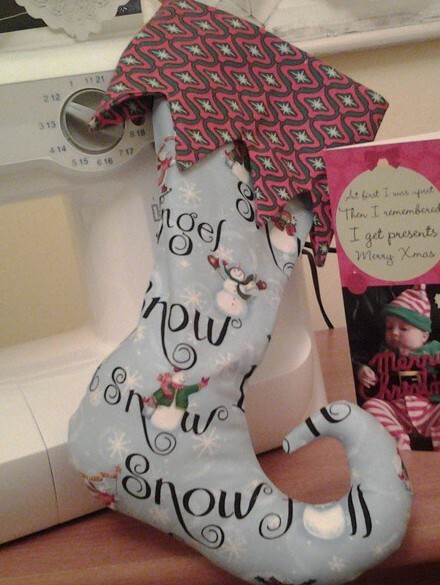 But I forgot to show you these……..
An Elf Stocking for my youngest nephew. Thanks to Helen for bringing hers along to the Exeter Sewing Meet Up I just knew this is what I needed to do. Sadly it’s a bit more for decoration than actual use but next year it has been requested a personalised sack. 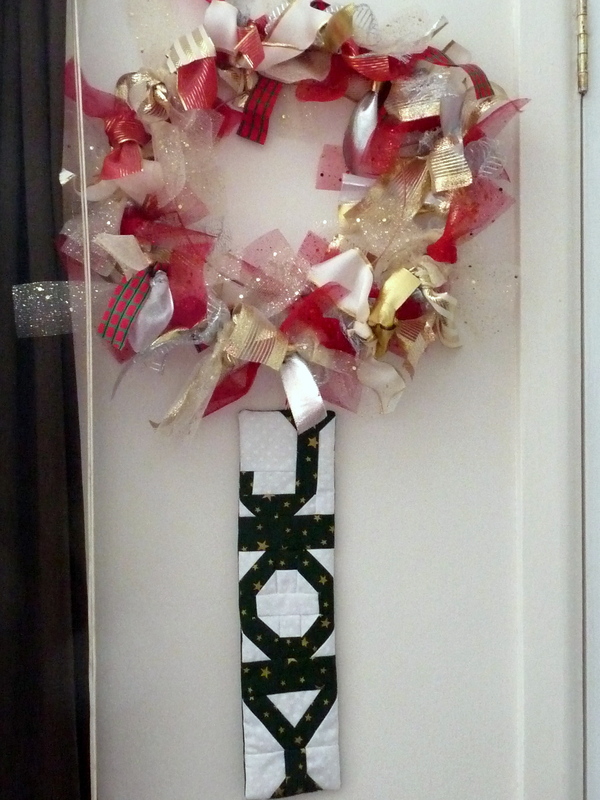 Back in November I met up with my friend Liz (Madmumknits) and we had a crafty time playing with epp decorations and a ribbon wreath. This is what I received though- aren’t they all lovely?! I love the style of the stocking, quite inspiring me to have a go, ready for next year, that’s about how long its likely to take me to finish it! 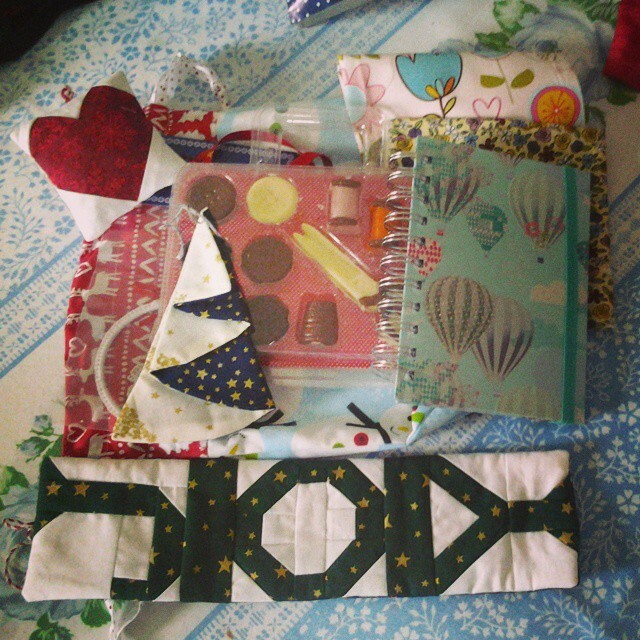 Aww, that stocking is super cute!